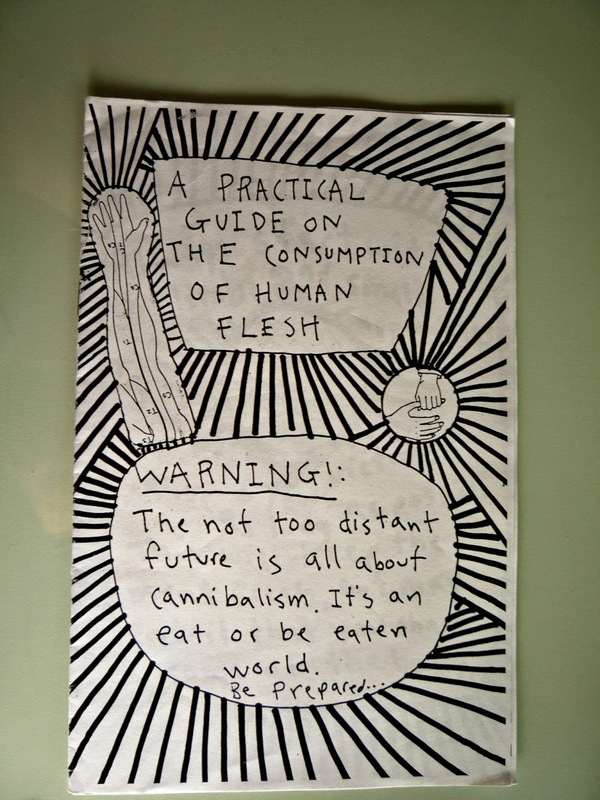 This is a very graphic zine... it's not filled with pictures of people eating human flesh... I meant that it's written and illustrated almost exclusively with a sharpie, so all the lines are thick and graphic. This zine includes simple instructions (start with limbs) and very useful advice (start with your family and friends so you ensure un-diseased flesh). This is a fun zine.